Catherine is a local musician, active in the regional music scene. 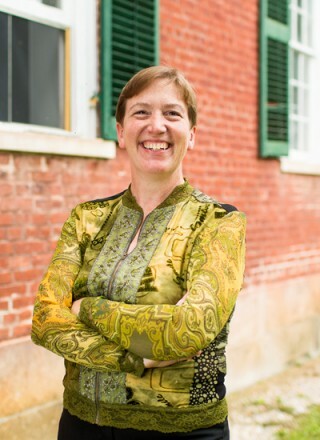 She has been a church musician for 30 years, and also performs in a pop a cappella group called Strike A Chord, based in the Springfield area (you may have seen them on WGBY doing the station identification jingle), and in the Jovia Trio, a classical trio. She teaches piano, organ, and ukulele, and strives to bring the joy of music making wherever she goes. She has released two CDs of religious piano music, written a book, “The Total Classical Pianist” published by Alfred, and has invented a method of teaching rhythm and meter to students called Toccata Blocks. Her educational background includes a B.A. from Simon’s Rock College, an M.Ed. from Springfield College and continuing education at the Westminster Choir College and the Hartt School of Music in choral conducting. Non-musical hobbies include carpentry, hiking, playing with her dogs, cooking, and riding her motorcycle. Catherine lives in Canaan, NY with her lovely husband, Mark, and two goofy dogs.